Everything falls in place - Kolomoiski had to go, the waters were getting too troubled; it was probably K. who ordered/organized the MH-17 incident. Since the lunatic who loves to eat his ties is changing his nationality to ukrainian, he cannot be extradited to Georgia anymore...it looks like Porky's Junta is exorcising the devil with Beelzebub. In the current environment, Saakashvili in Odessa, on the border of Transnistria – is a lighted fuse attached to a powder keg, says Rostislav Ishchenko. I was always struck by the belief of some politicians of the post-Soviet space in American invincibility and the eternity of Pax Americana. This faith is not even religious. Any religion justifies its position. It is based on a certain philosophy. Any religious dogmas are periodically amenable to reinterpretation, causing internal theological debate. Religions (Christianity, Islam, Buddhism, Judaism, and even less prone to theological reflection classical paganism) are faced with heresies, are divided into denominations, occasionally survive the crisis of reformation. The faith of post-Soviet neophytes of capitalism in the absolute primacy of America is as absolute, as the faith of the adherents of totalitarian sects in their guru. They believe in spite of reason, regardless of the objective situation. They are prepared to not only commit crimes on the recommendation of Washington (ethnic cleansing in Serbian Kraina and in Kosovo, the attack on South Ossetia, a bloody coup in Kiev, the burning of people in Odessa, the military operation against the civilian population of Donbass), they are even ready to go against the objective personal interests in good confidence that "divine bosses" from the United States know best what to do. And they will definitely protect their faithful "priests". 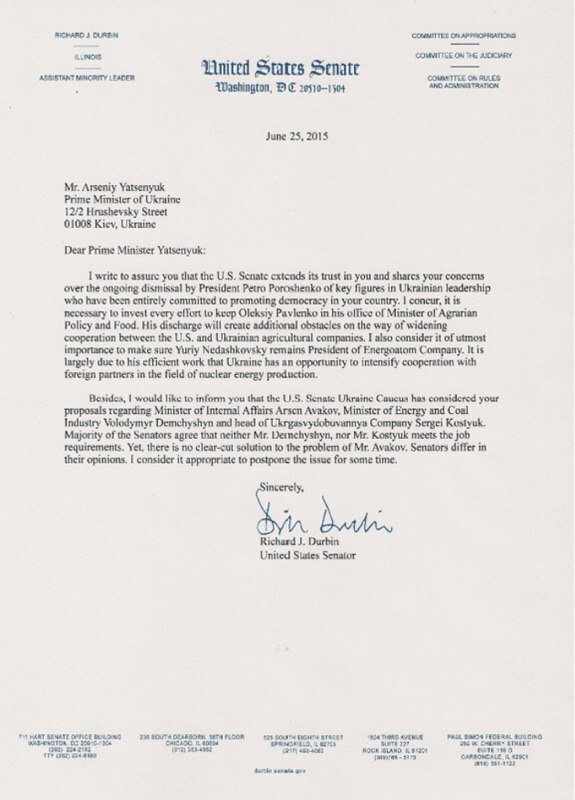 The latest example of this faith – the record of the former Georgian President Saakashvili in Ukraine. "Islamic State (ISIS) group jihadists have closed the gates of a dam in the Iraqi city of Ramadi which they seized last month, posing a humanitarian andsecurity threat, officials said Tuesday. ISIS fighters have repeatedly attempted to control dams in Iraq, in some cases reducing the flow of water to areas under government control or flooding swathes of land to impede military operations, reports AFP. Anbar provincial council chief Sabah Karhout said ISIS "closed all the gates" at a dam in Ramadi, capital of Iraq's largest province. 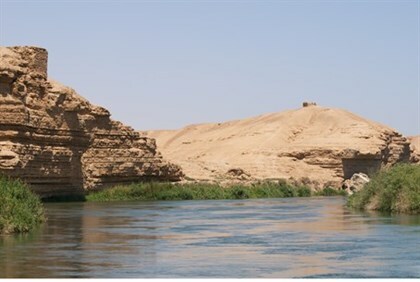 The move lowered the level of the Euphrates River and cut water supplies to the areas of Khaldiyah and Habbaniyah to the east, which are some of the last held by pro-government forces in Anbar. The lower water level has also made it easier for ISIS to carry out attacks, Karhout said. He called for the dam to either be quickly retaken or targeted in an air strike. "Cutting the water to Khaldiyah and Habbaniyah will lead to a major humanitarian crisis not only in these areas" but also farther south, said Sheikh Rafa al-Fahdawi, a leader in the Albu Fahad tribe, which is fighting against ISIS." isnt this part of biblical prophecy that the Tigris and Euratis will dry up at the end of times? @ T the same thought occurred to me upon reading the article, but had also read an article about the Euphrates level a while back, that stated it was lower than it's usual flow, however don't know if that's still the case or not. "An Islamic State-affiliated jihadi group in Gaza has declared war on Israel after claiming responsibility for two rocket attacks over the past two weeks. A group calling itself the Sheikh Omar Hadeed Brigade in Quds claims that it fired a rocket on 26 May which landed near the Israeli city of Ashdod as well as another on June 3 that also hit the city. Israel responded with air strikes in Gaza on Thursday. The first rocket was widely believed to have been fired by Islamic Jihad and the IS-affiliated Omar Brigade claim – which came in a statement on June 1 – cannot be independently verified. The group took responsibility for Wednesday night's rocket in a second statement. It has warned Israel that there will be more attacks: "Ashdod is the beginning. What's coming is worse." Gaza is currently embroiled in an internal power struggle between Hamas and various salafi groups, of which the Omar Brigades appear to be most prominent. On June 2, Hamas security forces killed an IS supporter in a shoot-out at his home in Gaza City and in May the Palestinian Islamist group – which has controlled the strip since 2006 – demolished a salafi mosque in central Gaza near Khan Younis." We all know Israel has a problem w/Gaza. So why not poke the giant in the area with a big stick, just to see what happens. Interesting. Hehe, that's what I call funny and entertaining:-D.
The Swiss "CIA", well, is not called "CIA", but "NDB, "Nachrichtendienst des Bundes", however it is known for a long time that the CIA's European "main" offices are in Berne - neutrality makes SUI a comfortable place for spooks, not only american ones btw. "Schweiz" is short for "Schweizerische Eidgenossenschaft", as America is short for United States of A.". This is german, for those that are forced to roam the web and the world speaking only one not so very complex language (which made it an ideal lingua franca). And yes, it's "good" or "high" german, because swiss german is very different from german and is only spoken, not written. This is what we call our country when we live in the swiss german speaking part. "Suisse" is short for "Confédération Suisse", which is, you might have guessed it, french and this is to make those Swiss happy that happen to live in the french speaking part of SUI. "Svizzera" is short for "Confederazione Svizzera", which is there to remind all other Swiss to the fact that there is a sunny and beautiful region south of the Alps, mostly defined by the Canton Ticino where people do actually speak italian, go figure. "Svizra" "Confederaziun Svizra" is raetoromanic, which is spoken by only about 50'000 people, but is nevertheless an official language. The latin "Confoederatio Helvetica" finally is used for legal stuff. To the real truther, this reveals the fact that Switzerland as a society has over the centuries managed to integrate 4 languages and cultures into a single country (think of SUI as a kind of micro-EU, but centuries old and you'll probably figure out why a swiss majority is not very fond of the juggernaut in Brussels). Who in his right (and even crudely educated) mind can think that the "9 different alias" are there to confuse the investigative mind? BIS is geographically in Basle, but it is EXTRATERRITORIAL. SNB (Swiss National Bank) is one of 60 stakeholders in BIS, and not the biggest one, btw. How much sense does it make for an author to ask for political asylum in SUI, having written what he wrote? The more serious aspect of this BS is: who has an interest in seeding such obvious disinfo about SUI? The only country in the world where the complete take over of the Elite is virtually impossible due to a deeply rooted direct democracy? Thanks MarkDatter, I put it here to get people's reactions, so thank you. It's not SUI that is behind ISIS and World terror, it's the state of Mississippi, which contains "is", "ss", another "ss", that ISIS is written "ississ" points to the fascist side of ISIS. The river that runs through the state has the same name, but to confound truthers, the locals call it ol'man river. And of course, the name of the river conceals to all but the most investigative and critical minds that it's water contains a lot of pp (say "peepee"), produced by Taylor and friends. Seriously, do you have any idea as to what and/or who is behind that manifestation of an intellectual Mariana's trench? Retention of historical names affords a clearer view of historical events that bring one to the current state understanding the Why. Thanks to my awesome friend Tatzhit Mikhailovich I can, once again, share with you the subtitled version of a crucially important video statement made by Nikolai Starikov. The “hurray patriots” are going to be enraged, but a lot of you will appreciate the sophistication of Starikov’s (well, Putin’s, really) strategy. Fantastic interview, thanks MD. God I wish everyone were that up front and easy to understand. Perhaps the truth can come out in 2015 and people will finally start to understand how the controllers have manipulated everyone for hundreds of years. You're welcome, and a big thank you to all here who contribute similar gems that help me (I can only speak for myself, but suspect to not be the only one ) understand "what's really going on". I understand that Nikolai Starikov is not even one of the heaviest political weights in the RF, but if his counterparts in the west had this kind of stringent logic and clarity, our Mama Earth might already be a lot better and more peaceful place. I read several times, even here at Chani that people do not understand why Putin, Lavrov et al. refer to their western counterparts as their "partners", given the aggressive stance the latter take. I consider this a very mature, egalitarian attitude, driven by the will to cooperate which can only happen if respective interests are mutually understood and respected as legitimous. Russian foreign policy makers just do not let themselves drag down to the western (read Anglozionist) bullyish, low level of interaction, which is to the benefit of all, including said anglozionist bullies. May they mature! Mutual respect and cooperation vs. "full spectrum dominance", take your choice . Now, who runs the show in Kiev?
" Welcoming China's leader to two summits in a Russian city, President Vladimir Putin said Wednesday that Russia and China can overcome their countries' difficulties by working together. Putin and Chinese President Xi Jinping both arrived Wednesday in the Russian city of Ufa for summits of the BRICS trade group and the Shanghai Cooperation Organization. The BRICS group also includes Brazil, India and South Africa, while the SCO, which also focuses on regional security and political issues as well as economics, includes the former Soviet Central Asian republics of Kazakhstan, Kyrgyzstan, Tajikistan and Uzbekistan. Iran, India and Pakistan are observer SCO participants." "Shortly before calling a NATO meeting under the pretense of concerns over its security, Turkey launched a bombing campaign across the border into Syria allegedly against the ISIS forces that it has supported, trained, and facilitated since the beginning of the Syrian crisis. Very soon after the bombing campaign was launched there came the announcement that Turkey and the United States had agreed to implement an “ISIL Free Zone” otherwise known as a “No Fly Zone” in northern Syria. Prior to the formal announcement of the “ISIL-Free/No-Fly Zone,” it was known that Turkey had launched a simultaneous attack on Kurdish targets in Iraq. After the announcement, these attacks on Kurdish targets intensified to greatly overshadow anything purporting to be an attack on ISIS. Thus, as Turkey whines about the threat ISIS poses to its security, fresh on the heels of a dubious ISIS bombing of a political demonstration, Turkey has demonstrated that the real targets of its bombing campaign is not ISIS at all, it is the Kurds." "(NaturalNews) As Venezuela's economy continues to worsen -- its currency having entered "free fall mode," according to the Financial Times -- the desperate Maduro government has taken the extreme measure of nationalizing the nation's food industry. Venezuelan farmers and food producers are now required to sell anywhere from 30 percent to 100 percent of their products to state-owned stores. The order covers staple foods such as rice, milk, oil, sugar and flour. Shortages and long lines in stores have become common since Venezuela's economy began sliding into inflation -- a situation that placed them at the top of the list in the world for inflation in 2014. The official inflation rate was 65 percent last year, and in the last month the currency has lost another 43 percent of its value. Oil prices once again have dropped, causing further strain on Venezuela's struggling economy. The recent free fall of the country's currency -- the bolivar -- is evidence, according to FT.com, of "the growing inability of Nicolas Maduro, Venezuela's president, to stabilise the country's fast deteriorating economy." Maduro's Leftist government has attempted to cover its debts by printing money, a move which has pushed the country towards a state of hyperinflation, according to leading economists. Venezuela's money supply has increased 85 percent in the last year, while the currency continues to devalue. The black market value of the bolivar has nearly reached the 700 to one dollar mark -- a figure roughly one-hundredth of the official government rate of 6.3 bolivars to the dollar. Many observers believe that the move to nationalize the food supply will only worsen the situation, especially for Venezuela's lower income citizens. Pablo Baraybar, president of the Venezuelan Food Industry Chamber, says the order is "illogical"
Taking products from the supermarkets and shops to hand them over to the state network doesn't help in any way. And problems like speculating will only get worse, because the foods will be concentrated precisely in the areas where the resellers go. Just in case you don't think it can happen here, you might want to think again. Wait, it seems Richard Alan Miller, said we should be watching Venezuela? "A representative for a pro-Islamic State hacking group issued a chilling warning to members of the U.S. military and government Wednesday, promising that “very soon” followers of the organization would retaliate for overseas bombing targeting the terror organization. Speaking to TheBlaze using smartphone messenger application Kik, a representative for the Islamic State Hacking Division said the group is constantly spying on U.S. servicemen. The organization on Tuesday published personal information purporting to belong to U.S. military and government online. Just like they spy on muslims, we are spying on them, watching their employees, watching their soldiers, recording their movements and taking their location information and passing it on to the soldiers of the islamic state,” the anonymous male member told TheBlaze. Just because I post an article doesn't mean I buy it lock, stock, and barrel. Who is ISIS again? Who drops them care packages in the ME? Now this? Seems everyone has an agenda. If one thing doesn't work to incite people, perhaps a different tactic will work. So now, IF an incident like this takes place in the US, and I surely hope it does not, could be interesting to see how it's used. I can only say, that after 9/11, the Muslims in our small community were standing in line to answer the Red Cross' call for donors, just like every other "American" who donated. Not all are evil. You may, or may not, have noticed the growing body of evidence over the past year or two that strongly suggests that the U.S. government and its European “allies” are not really serious about destroying “ISIS”. The first hint came early last year when the jihadi mercenaries took large swathes of Iraq and Syria, and the West did nothing but wring its collective hands and fret, and resolve to bolster the fighting capability of the wonderful “rebels”. The second hint came this year when the U.S. and their partners began piecemeal airstrikes against “ISIS” that appeared to merely spur the head-choppers on to more success. The third hint came with reports that weapons supplies being sent to “Syrian rebels” were ‘accidentally’ ending up in the hands of the head-choppers. The most recent confirmation that Western politicians and military types effectively view “ISIS” as ‘their guys’ came in the last few weeks when the Pentagon reacted to news that Russia was in the process of establishing an air base in western Syria, from which to attack all foreign forces in Syria involved in the four-year-long attempted coup against the Syrian government. Putin’s speech at the UN two days ago appears to have been the signal (one that was apparently missed by the Pentagon, perhaps because it was couched in clear, honest language) that Russia was about to ‘get real’ and make good on its intention to prevent the overthrow of Assad, defend the civilian population of Syria against ISIS, and solve the European ‘refugee crisis’ in the process. On the same day as Putin’s speech, the Russian government revealed that Iraq had decided to sign an intelligence-sharing accord with Syria, Iran and Russia as part of the mission to wipe ISIS from the pages of history. They even set up a center in Baghdad to facilitate this information-sharing and have invited other nations interested in joining the counterterrorism effort in Syria to sign up. Today, with a speed that indicates the result of the vote was a foregone conclusion, the Russian parliament unanimously agreed to allow the Russian military to engage in Syria. The decision was rubber-stamped by the Duma on the basis that the Syrian government had invited the Russian military to help in their fight against terrorists, and with the rationale that ISIS terrorists and the 2,000 (give or take) Russian nationals that have joined them “must be defeated there and not allowed to return to their home countries [e.g. Russia] with battle experience and ideology adopted in the war zone.” Russian involvement in Syria is, therefore, very much in keeping with international law, a quaint notion long since dispensed with by the “international community” of Washington, London and a few EU capitals. But just in case anyone was still in doubt, Russian Foreign Minister Lavrov today pointed out at the UN Security Council debate that “ISIS” possesses “elements of Weapons of Mass Destruction”, a claim which is decidedly more plausible than the U.S. claim that Saddam had WMDs back in 2003. Yesterday, Deputy Defense Secretary Bob Work told a Senate Armed Services Committeehearing that he was “surprised” at the decision by Iraq’s Joint Operations Command to share intelligence with Syria, Iran and Russia in an effort to coordinate action against the Islamic State. The problem for the Pentagon here is twofold: 1) Iraq, Syria, Iran and Russia combining their resources to defeat “ISIS” puts the US and NATO firmly out of the picture. 2) The Pentagon had, in its hubris, believed that the Iraqi government was sufficiently ‘owned’ that it could share sensitive US military intelligence about US military activities (and US proxy forces) with the Iraqis. There is now a risk that that intelligence may be made available to the Russians, allowing for the better targeting of US and Saudi proxy forces in Syria, and even Iraq. “A Russian official in Baghdad this morning informed US Embassy personnel that Russian military aircraft would begin flying anti-ISIL missions today over Syria. “He further requested that US aircraft avoid Syrian airspace during these missions,” U.S. State Department spokesman John Kirby said. In further evidence that things have gone a little ‘pear-shaped’ for the Pentagon, Deputy Assistant Secretary of Defense for Russia, Ukraine and Eurasia, Evelyn Farkas, has been fired has resigned and will leave at the end of October, according to a senior U.S. defense official. Ms Farkas’s responsibilities included dealing with Russia on Syria and Ukraine. Oops. By carefully choosing which type of military aid to give to Syria, Russia has effectively created a ‘no-fly’ zone for NATO war planes above large swathes of Syria, unless of course pilots more accustomed to engaging in turkey shoots want to risk being blown out of the sky. It is almost certain that the Russian S-300 anti-aircraft missile system is now operational in Syria. “ISIS” has no air force, so this system was clearly intended to protect against a NATO bombing campaign aimed at the Syrian army. This is, perhaps, one of the reasons that Western military attacks on “ISIS” have been so ineffective. Not that Russia or Syria ever wanted to stop Western bombs falling on “ISIS” positions; they just wanted to stop NATO using the excuse of attacking “ISIS” to target the Syrian military. With the recently enhanced Russian air base at Latakia, Russian air force planes stationed there can freely engage U.S. proxy mercenary (ISIS) targets and (hopefully) close the book on this latest monstrosity created by the psychopaths in Washington and their misogynistic, head-chopping “royal” friends in the Gulf. There is, however, one down side to this new development; Europe is already dealing with a large influx of refugees from Syria. It’s really unreasonable of the Russians to risk adding about 30,000 more “ISIS” jihadis into the mix, most of whom, as I speak, are frantically shaving off their terrorist beards and heading for Turkey and ‘safe passage’ to Germany. Russia is doing what America and the West have been doing for generations, bombing innocent people for their own gain. Now they are crying 'foul' (as George said below) because Russia did it first. Something happened when nearly all the world leaders went to Nelson Mandela's memorial in Africa (Putin did not go). All of this escalated after that. Since the bombing started in Syria there is a lot going on, but more than I can share easily. So I will summarize what I have seen in videos and read in news sources. Russia is continuing to hit targets all over Syria with great success. The US is crying foul, by saying Russia has not been hitting ISIS but instead independent rebels against the Syrian government. Really? That is how you are going to play that game? That is moronic. All groups against Syria are terrorists. Period, and they are all fair game as far as Syria and Russia is concerned. Give me a break. At the same time Iran has joined the battle to save Syria from the east, with foot soldiers, tanks and misc. military equipment. The true numbers were not disclosed but they said "hundreds", which means perhaps thousands are on their way inside Syria at this time. As soon as Russia bombs a target area, the Syrian army and other troops like Russians, Iranians, etc. go in to mop up the area and take control. This will be an on going process for several weeks or more. The supply lines for ISIS were coming mostly through Turkey which has been in league with Saudi Arabia, the US , Israel, and Qatar to name a few. Russia and Iran are cutting off that supply line to ISIS. which begs the question; why didn't Obama thin of that?!? The plan by that consortium of nations was to promote and finance ISIS and other groups like Al Qaeda to march into Syria and remove Assad from power. The next stage was to go after Iran. This was to eliminate threats from Israel and control more oil rich areas, and enable the construction of gas and oil pipelines into Europe. The powers in the current US regime also wanted to weaken Russia and in the long term cause their collapse. This is an aggressive conspiracy to destroy nations and interfere in the sovereignty of other nations. Ten million people in Syria have been forced to flee their homes. Over 200,000 people have been killed by this conflict in that one region alone. It was financed by those nations, including the US and its covert agency the CIA. Putin saw this as a blatant act of aggression and will not stand for a friendly nation like Syria to be taken over and destroyed. The western press has vilified and demonized Syria and Assad. What they have said about him are falsehoods and flat out lies. This is how they operate. The Chinese were rumored to have brought a war ship to Syria to help out. Then it was reported that was a false rumor, then it was confirmed by several sources to be true. And, there is a likelihood there are more Chinese military ships on their way as well as a host of Russian navy ships in the region. Last year when one of our ships was in the Baltic sea, one Russian jet fighter flew with 1,000 meters of the ship and a high tech electronic device knocked out all radar and electronic control of their weapons systems. This was extremely shocking to the crew and they left the region immediately. Several news reports of this incident were reported which I read and viewed. Israel may decide to attack Iran, since they consider them to be an enemy, and especially since the incursion of Iranian troops into Syria puts them on track to invade Israel next. Israel will then expect the US to back them and defend them. The Moslems are in a war against the west, and the invasion of illegal migrants or so called refugees could include terrorists to burn and ravage Europe. This war in Syria is connected to the invasion of migrants into Europe. At the very least it will overburden those nations and precipitate their financial collapse. This conflict in the middle East has been an ongoing scheme for over 10 years. It has cost $ billions and cost the lives of hundreds of thousands, if not millions of lives. The conspirators in this devious plan have no fear of taking this to a nuclear war. In fact, it appears that it is part of their agenda for global de-population and control. The players on both sides are dead serious and are not bluffing. The global economic picture is bleak and getting worse. The tricks they have done to prop up the financial system have been exhausted. A major war may actually be preferably by the controllers to re-set the system after the chaos. The powers in control have allowed the problems in the Middle East to get worse. It is by design, it is not by accident. They have also allowed and pushed for the flow of millions of migrants into wealthier free countries. This is also by design. The stage is being set to create the downfall of free nations through a combination of a world war and economic collapse. No rational politician would allow the invasion of migrants into their nation or the existence of a terrorist army to exist as a threat to all mankind. The liberal, socialist politicians are the enemies of the nations. They are leading their own people to be slaughtered and enslaved.